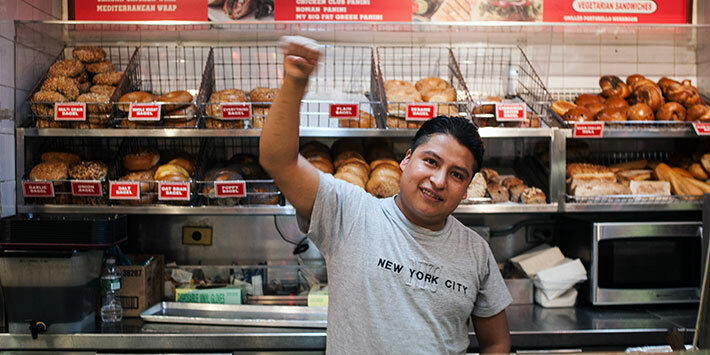 Behind the scenes of the 63rd Street Hot and Crusty café in New York City’s affluent Upper East Side, undocumented immigrant workers face pay below minimum wage, dangerous machinery, and abusive managers. The Hand That Feeds follows a group of workers who risk deportation and the loss of their livelihoods to team up with a crew of innovative young organizers and form their own independent union. There will be a post-screening Q & A with the filmmakers.